I love the food in Japan. LOVE IT. Usually it is delicious and healthy and interesting. Of course, there are some things missing like cheese (CHEESE!) and healthy breads and ethnic foods such as Italian, Greek and Mexican, but over all it is fabulous. That said, there is some weird stuff available here. Some delicious, some not. Hopefully I can share some of these things with you! 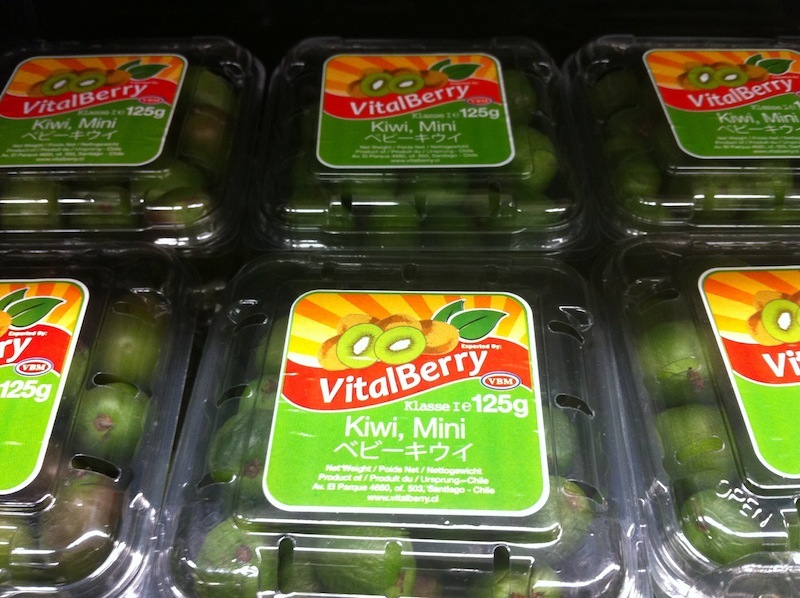 First up: Mini Kiwis – these may not be so weird, but I’ve never seen them before, so there’s that! These are delicious and if they weren’t so expensive. ($4 for a box) I would be purchasing them all the time to eat. Excellent both plain and mixed in yoghurt! The other thing about food in Japan, especially fruit, is that it is often available for a limited time only… so I’ll be eating as much as I can before it disappears off the shelf.